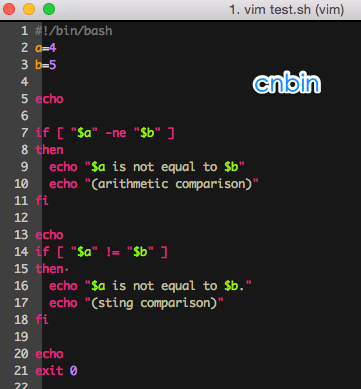 then echo "Files a and b are identical." 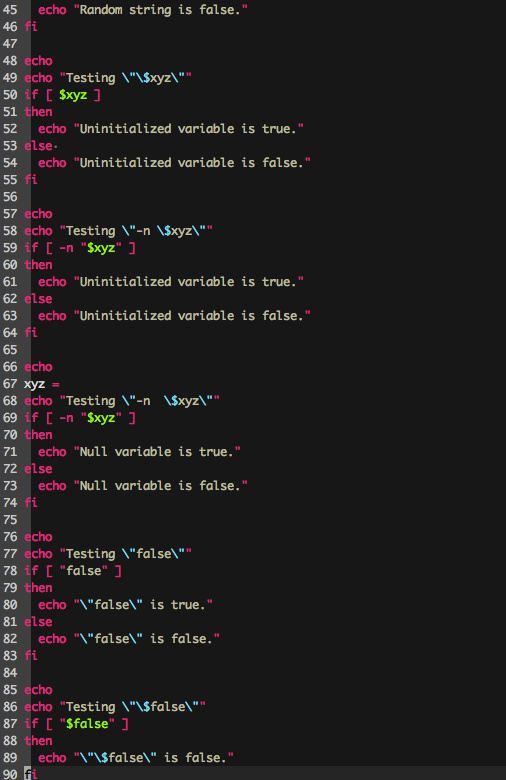 else echo "Files a and b differ." 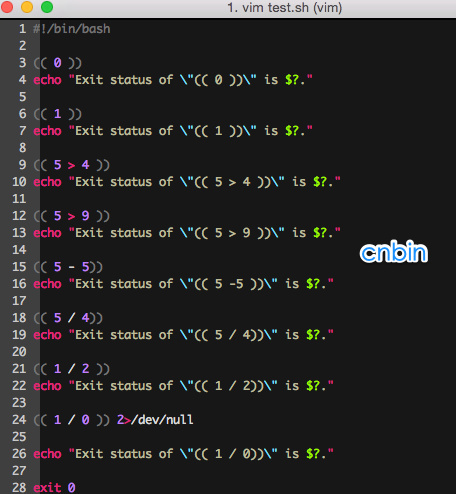 then echo "File contains at least one occurrence of Bash." if echo "Next *if* is part of the comparison for the first *if*." if [ -n "$xyz" ]            # 更加正规的条件检查. if [ "false" ]              #  看起来"false"只不过是一个字符串而已. 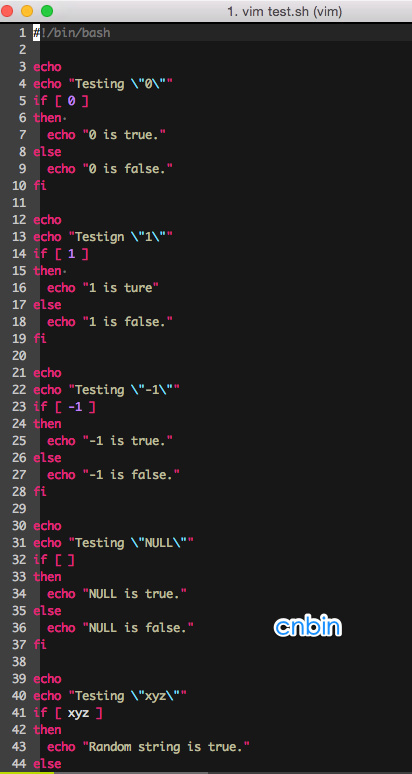 echo "\"false\" is true." #+ 并且条件判断的结果为真. echo "Testing \"\$false\""  # 再来一个, 未初始化的变量. echo "$a is not equal to $b"
echo "$a is not equal to $b." if [ -n $string1 ]    # $string1 没有被声明和初始化. if [ $string1 ]       # 这次, 就一个$string1, 什么都不加. #    if [ $string1 ]    只有一个参数, "]"
#    if [ "$string1" ]  有两个参数, 一个是空的"$string1", 另一个是"]"
if [ $string1 ]       # 再来, 还是只有$string1, 什么都不加.